PREPARE NSW is funded under the Community Resilience Innovation Program, Office of Emergency Management, NSW Department of Justice. This program is part of the NSW and Commonwealth governments’ National Partnership Agreement – Natural Disaster Resilience Program. The overall aim is to design a Continuing Professional Development (CPD) resource that will develop capacity of NDIS disability support and NSW Community health providers in person-centred emergency preparedness and planning. 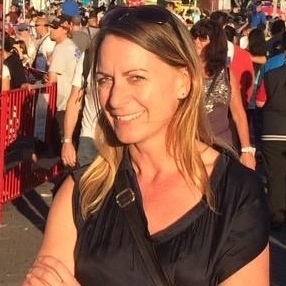 This Project brings together knowledge and experience from the emergency management, health and disability sectors to design an online Continuing Professional Development (CPD) resource on person-centred emergency preparedness and planning with people with disability and chronic health conditions in the community. 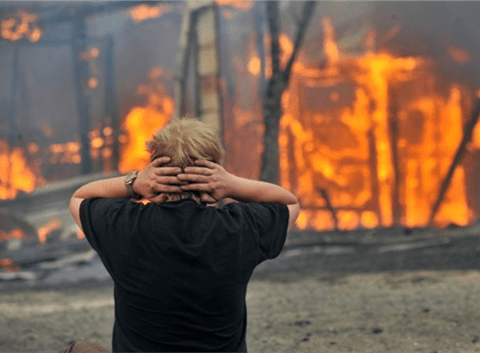 The online CPD resource will enable disability and health providers to learn about natural hazard emergency preparedness and apply that learning to person-centred planning with people they support in the community. A Working Group consisting of members from the emergency management, disability, and health sectors will contribute their knowledge, experience, and expertise to co-design the CPD resource and evaluate its utility in practice. The CPD resource will be field tested in two Local Government Areas (LGA): Mid North Coast LGA and Blue Mountains City Council LGA and will invite involvement from other LGAs. Advisory committee membership will bring state wide knowledge, expertise and innovation to ensure the CPD resource is suitable for state wide implementation. 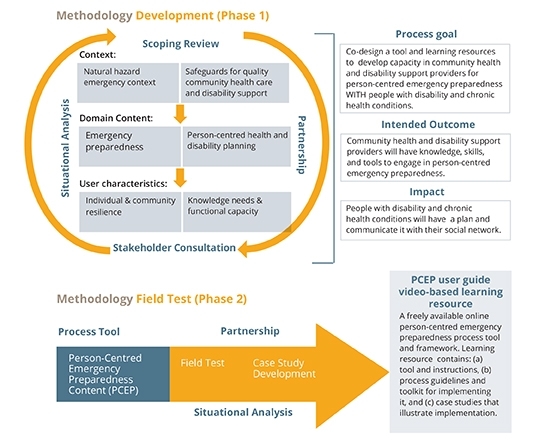 The video demonstrates the key features of Person-Centred Emergency Preparedness (PCEP) as a process tool and framework. The PCEP toolkit enables people to have a plan and communicate it with their support network. The toolkit includes a user guide and a series of three videos provide illustration of PCEP in action. Click here to learn more about the toolkit. 2 February 2018 – Submission provided to Department of Health and Human Services, Victoria on the Review of the Vulnerable People in Emergencies Policy – Discussion Paper, December 2017. You can sign up to receive project updates by signing up to receive our DiDRR newsletter or following us on our social media. The views expressed herein do not necessarily reflect the views of the NSW Government, unless the views expressed in the Project Materials have been publicly supported by the Government or a government agency.